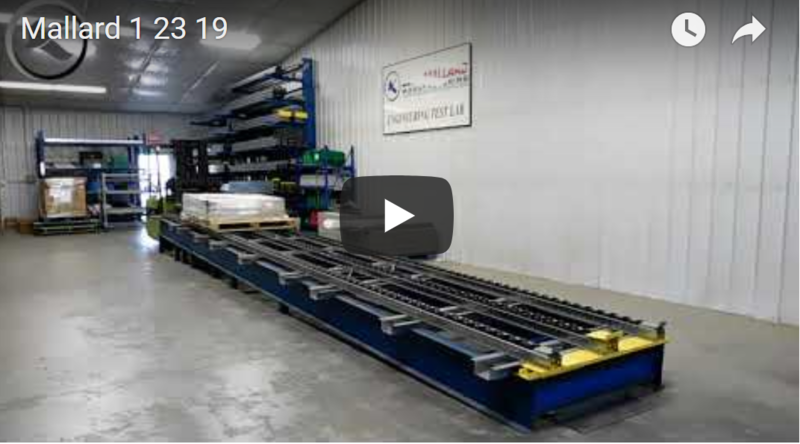 About a year ago we designed a pallet flow system for a customer who had 21 different pallets with a wide range of inventory weights, from 500 – 1100 lbs. It was a challenge, but our engineering team came through and the customer’s request was satisfied. We even blogged about the complicated test and successful outcome. 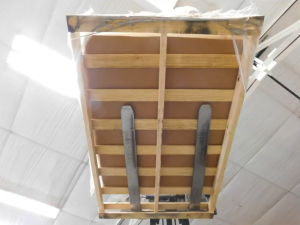 Recently, a follow-up call with the customer revealed that their pallet criteria and inventory weights could be changing… but, would their current pallet flow rack design efficiently accommodate the new inventory? In the original test, 6 of the 21 pallets examined were similar to these new pallets with only 2 bottom boards. Our recommendation at that time was to add more boards to achieve optimal flow; however, given the new lighter inventory weights we wanted to test them again in the pallet flow lane to see if that recommendation was still necessary. The test showed positive results for weights under 250 lbs. using the pallets with 2 boards, however we again cautioned that heavier inventory might cause the pallets to deflect and cause hang-ups in the lane.